Fundraising *NEW* Explore and chair new/different fundraising opportunities for our PTA. After School Programs Plan and keep track of after school programs, act as a point-of-contact for the organization, and help request/plan space/time needs. Literacy Work to promote literacy in the Canyon Creek community through programs and/or events. Playground Work to identify and communicate playground/outside needs and help advocate for and implement any changes. Newsletter Create, edit and publish the PTA newsletter, including ensuring it adheres to WSPTA best practices guidelines. (View historical newsletters) ** Would love someone to help review & edit newsletter - so if that is something that sounds good to you, please reach out! Website Maintain and develop content for the PTA website and coordinate with PTA leadership to ensure timely and accurate presentation of information. Experience and knowledge of web site development and/or HTML is very helpful, but not required. ** Would love someone to help review & edit content - so if that is something that sounds good to you, please reach out! Community Serve Day Liaison Assist the Canyon Creek staff coordinator with marketing, finding volunteers, and helping at this annual August event (on 8/26/2018). Volunteer Coordinator Act as the point-of-contact person for people interested in volunteering, maintain lists of people who indicate they want to volunteer, contact them when the need arises (e.g., event support, special projects, etc. 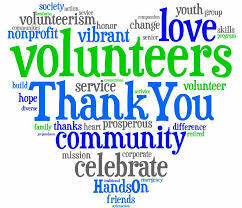 ), and also work to find ways to recognize and appreciate our amazing volunteers! Health Room Liaison Act as PTA liaison to the school nurse and assist with organizing and recruting volunteers for health screenings. Student Council Liaison Act as PTA liaison to Canyon Creek's Student Council, supporing their community outreach efforts and assisting the staff advisor as needed. View a list of ALL the chair positions with descriptions (hover over each chair position for descriptions).